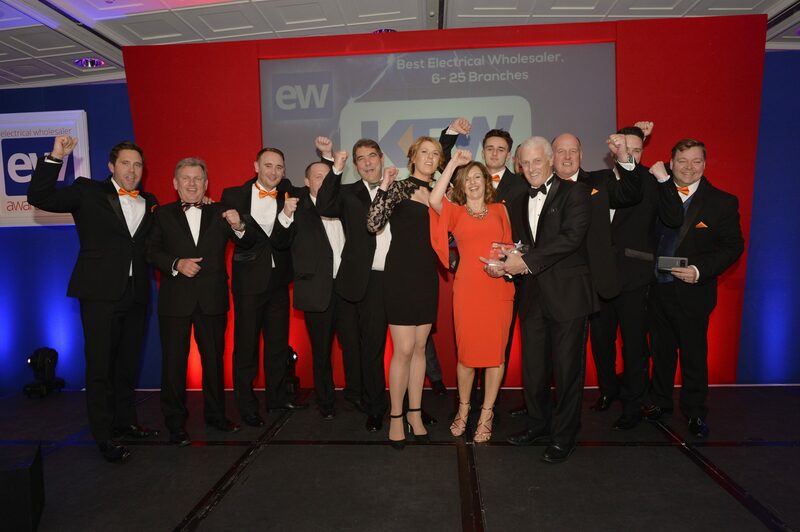 Kew Electrical is celebrating winning a best wholesaler award in the Electrical Wholesaler Awards for the third year running. The independent wholesaler walked away from the awards ceremony at the London Lancaster Hotel with the trophy for Best Electrical Wholesaler with 6-25 Branches. The company did not retain the award by sitting on its laurels. “Every year there’s slightly enhanced scrutiny,” says Nik. Nik credits Kew’s continued success to three factors: Loyal knowledgeable staff, stock availability, and accessibility through trade counters and the delivery network. At present, the company has 320 staff in 23 branches, predominantly in the south of England. It will soon open a branch in Gloucester, and as it expands it is battling the large company mentality. “Our strength is local knowledge and local businesses,” comments Nik. Outside the core business, Kew has opened key account offices across the country to serve larger contractors, and there is a cash sales business that includes the Postcode Privilege Club, which gives discounts to local companies.